From swagged out club bangers to up tempo hits, Hook City: Urban Pop Edition is the complete package! The Hook City brand from VIP Loops rises to a new level with the Urban Pop Edition, giving you 30 construction loop sets and over 6 gigs of incredible content. All loop sets include catch hooks and many include looping and non-looping versions of the hooks to give you seamless endings. Hook City delivers the hottest, most modern urban hits to your DAW or sampler. Whether you're a hip hop artist or producer looking to add some urban pop to your arsenal or you need a current four on the floor banger this product is sure to inspire. The Hook City concept is designed to make producers jobs even easier by including current vocal hooks in your construction loop set package. Mix and match the loops to create thousands of new music ideas. 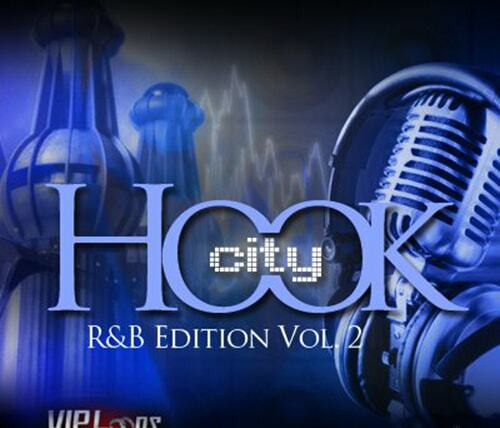 Hook City: Urban Pop Edition is a VIP Loops Platinum Series product. The production team's credits include Flo Rida, Tu Pac, Jason Derulo, Jodeci, Mariah Carey, Chris Brown, NFL, BET, HBO, and are responsible for millions of records sold worldwide! All parts in this product are separated, edited and come formatted in WAV(Acidized) and Apple Loops format. This is a must have product, download it today! Over 6 GB of content!